I am sick. Cold, flu, who knows. Thankfully it is raining, which, and this may shock some of you, I love. It makes it feel even more like fall. Now back to what ails me and what I am doing about it! 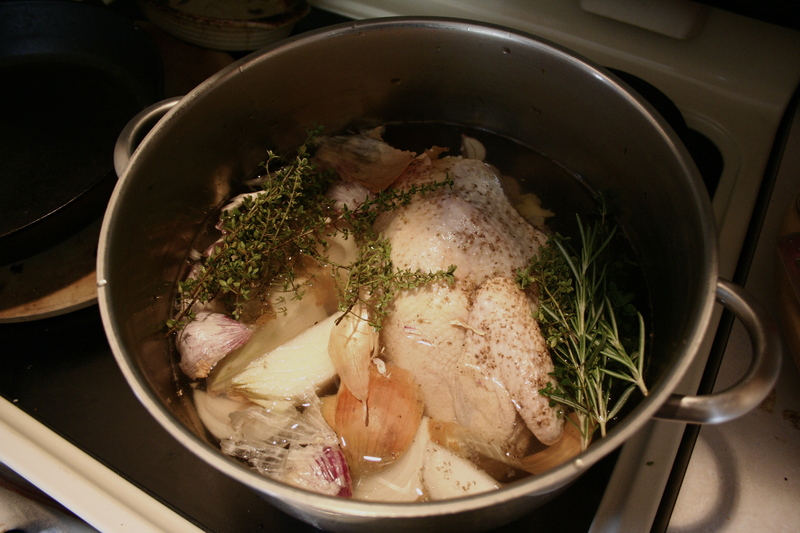 In addition to the hot tea, the water with elderberry extract (for vitamin C) and the space heater, I decided to make some homemade chicken stock. The house smells amazing. 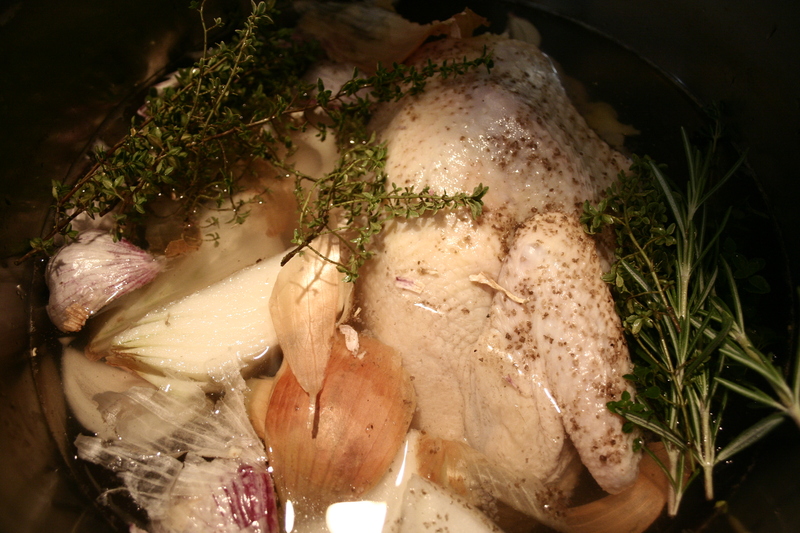 Then I let it sit for 1/2 hour, to let the vinegar do it’s magic (or so I’ve read), before turning the heat up. When it started to boil I turned it to low and there it will sit, becoming more and more flavorful and more and more healthy until tomorrow. Although, I will be taking some for my dinner tonight, I can’t wait! If all else fails, I have gin, hot water, honey & lemon.